Paula is the President and CEO of Wound Care Clinic – ESU, Inc. in Savannah, GA. Founded in 2005, the clinic specializes in healing chronic and acute non-healing wounds using innovative and standard therapies such as electrical stimulation and ultrasound. 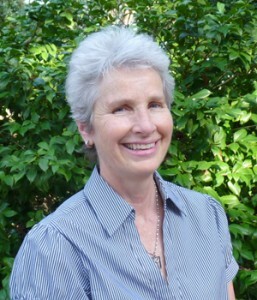 Paula is currently Co-Chair of the Savannah Food Policy Council, Chair of the Nutrition Committee for Healthy Savannah, and is on the board of Healthy Savannah. She is the immediate past Chair of the Healthy Savannah Steering Committee and is the immediate past President of Buy Local Savannah. From 2006-2009 she chaired the Community Leadership Board of the Savannah Chapter of the American Diabetes Association. In 2008 Paula received the Top Ten Working Women’s Entrepreneur of the Year Award by A Working Women In Need (AWWIN), an organization dedicated to supporting single working women. Wound Care Clinic won the 2008 Small Business of the Year Award by the Savannah Area Chamber of Commerce and was awarded the 2007 Savannah Small Business Chamber’s award for New and Emerging Small Businesses. Paula graduated from Concordia University and is a licensed CPA. She spent the first 25 years of her career at FedEx, primarily in operations management in New Orleans and Tampa Bay. She credits her success in business to her compassionate and very dedicated staff at Wound Care Clinic. John Leonard, RN. Head of Clinic. 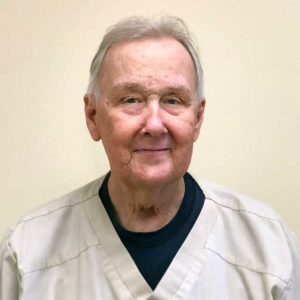 John J. Leonard graduated from the school of Radiologic Technology in 1966. Eventually John also graduated from Armstrong State University School of Nursing in 1974. John worked as the director of cardio-vascular suite, radiology department for 25 years. He also worked at Candler Hospital as a Staff RN in the emergency department for 15 years, as well as Staff RN for Alzheimer’s day program. Later on John went to work for Tidelands Mental Health for 5 years. Then he was the campus supervisor at Georgia Regional Hospital for 5 years. Lastly, John joined our team at Wound Care Clinic – ESU as our head RN in 2008. Kim has been working as a physical therapist at Wound Care Clinic-ESU since she moved to Savannah with her son, Aidan. She holds a B.S. in Biological Sciences from Edgewood College in Madison, Wisconsin and is a graduate of Florida Gulf Coast University in Fort Myers, Florida, where she received her Master of Science in Physical Therapy in 2005. 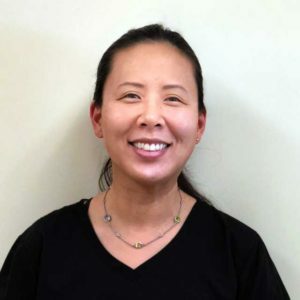 Kim has been in the medical field since 1984 and has particular experience working with adults with developmental disabilities, providing positioning and seating assessments and home health care. Kim enjoys reading, writing poetry and children’s stories and traveling with her family. She has a special interest in wound care and lymphedema therapy. 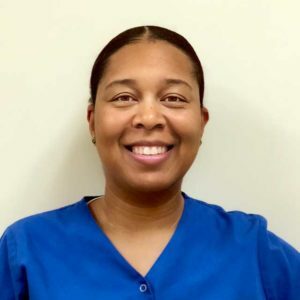 Rebecca Hart holds a Bachelor of Science in Nursing in 2008 and a Master of Science in Nursing for Adult Nurse Practitioner in 2012, both from Armstrong State University. Rebecca worked as a coronary care ICU nurse for four years. For the past 6 years as an adult nurse practitioner, Rebecca has worked for a Critical Care/Pulmonary medicine and internal medicine. 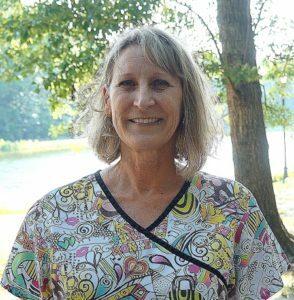 Now, Rebecca works for a rehab facility in Glennville, GA as well as Wound Care Clinic. She enjoys gardening and working on her farm. Rebecca is married with two boys. Anny Most, FNP-BC. Family Nurse Practitioner. Anny Most has been a practicing Family Nurse Practitioner since 1992. She graduated from Johns Hopkins University School of Nursing with a Bachelor of Science in Nursing and, later, a Master of Science in Nursing. Early in her nursing career she worked at John’s Hopkins Hospital on the surgical units. Later she worked in the Emergency Department at Massachusetts General Hospital. She has worked in various fields caring for patients ranging from newborn to elderly. Anny joined our team at Wound Care Clinic – ESU in 2011. She is married to Dr. Daniel Most and they have two children. Barbara Martinez, FNP-BC. Family Nurse Practitioner. Barbara Martinez graduated with a Bachelor of Science in Nursing from Northern Illinois University in 1989. 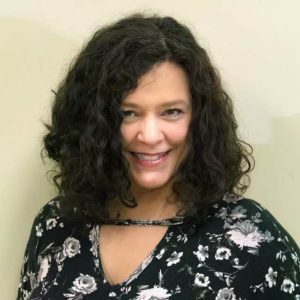 She spent her nursing career as an ICU nurse at Northwestern Memorial Hospital in Chicago before going to the University of Illinois at Chicago for her Master of Science in Nursing and becoming a Family Nurse Practitioner in 2002. 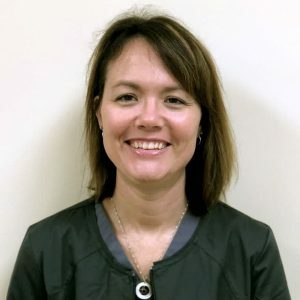 She worked at Erie Family Health in Chicago and at Halifax Family Practice in Daytona Beach before joining the Wound Care Clinic – ESU family in 2010. She lives with her husband and daughter. She speaks Spanish and a little German. Tasha Schultz, FNP-BC. Certified Family Nurse Practitioner. Tasha Schultz is a Certified Family Nurse Practitioner. She graduated from Southern University A&M College School of Nursing with a Bachelor of Science in Nursing in 2004 and a Master of Science in Nursing as a Nurse Practitioner in 2008. She has many years of clinical nursing experience including the medical-surgical unit, the ortho-neuro unit, the research department, the mother/baby unit, pediatric department, pediatric Sexual Assault Nurse Examiner (SANE), wound care, pediatric hematology/oncology, retail health, and disability examinations for the Veterans Benefits Administration (VBA), screening for Individual Medical Readiness (IMR) and Post Deployment Health Reassessment (PDHR). Tasha’s true passion is wound care and she plans to receive her wound certification one day. 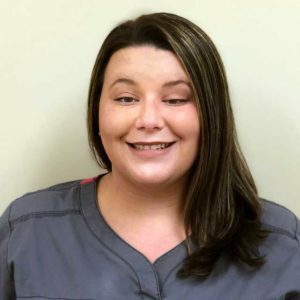 “I am truly blessed to be able to care for wonderful patients every day and to share my love for wound care with an amazing staff.” Tasha joined our team at Wound Care Clinic – ESU in 2016. Tasha was born in Baton Rouge, Louisiana. She is a military spouse and currently resides in Richmond Hill, GA with her husband Herman and her five year old daughter Carrington. In her spare time Tasha enjoys working out, traveling, reading and shopping. But, what she enjoys most is cycling on her bike at home and spending time with family- especially her husband and daughter. Haley Bieber, Office Manager. Certified Patient Care Technician. Haley Bieber is our office manager as well as a Certified Patient Care Technician. She received her certification as a patient care technician in a dual-enrollment program in high school. She currently attends Armstrong – Georgia Southern University for a Bachelor of Arts in Law and Society. She plans to continue her education at Georgia Southern for a Masters of Science in Experimental Psychology. Haley became a part of our Wound Care Clinic – ESU team in 2012 after finishing her clinical rotation with us. Haley enjoys spending time with her husband – Kyle, anything involving their two Shih-Tzu’s – Hazel and Chloe, traveling, shopping, and being outdoors. Shelby Madden, PCT. Certified Patient Care Technician. Shelby Madden is a Certified Patient Care Technician who received her certification at Savannah Technical College in 2014. 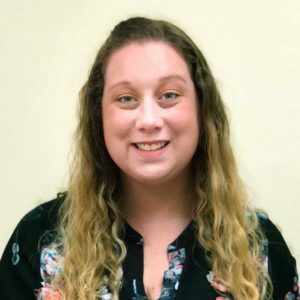 Shelby has previously worked at a local nursing home as well as retail and restaurant work but has been with our team at the Wound Care Clinic since July 2015. Shelby enjoys working, relaxing at home as well as spending quality time with her family, especially her two children – Gannon and Brycen.